Cargopooling have developed SmartCargo, the software that provides advanced logistics algorithms to optimize routes for people and goods (their usual customer flow can reach ~12.000 clients/month). They migrated to Jelastic PaaS on top of Layershift cloud hosting. As the company has two locations in USA and Italy, they are running several environments in multiple regions (US and EU) within one provider. 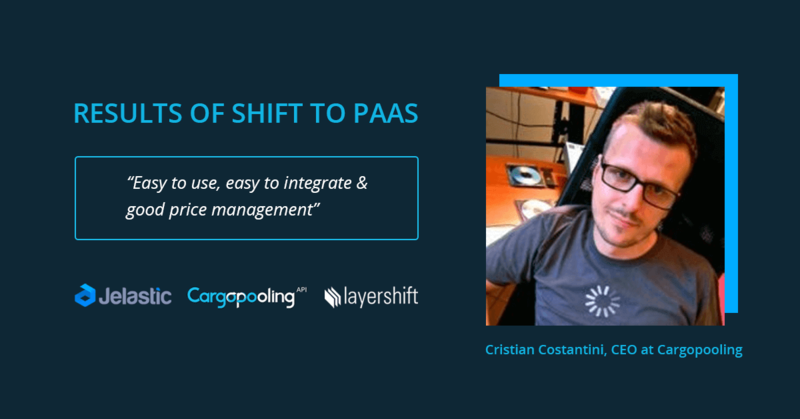 CEO of Cargopooling shares what attracted them in Jelastic, how PaaS facilitated their development cycle, what tools they use for Java projects, and how they benefit from scaling and automation.